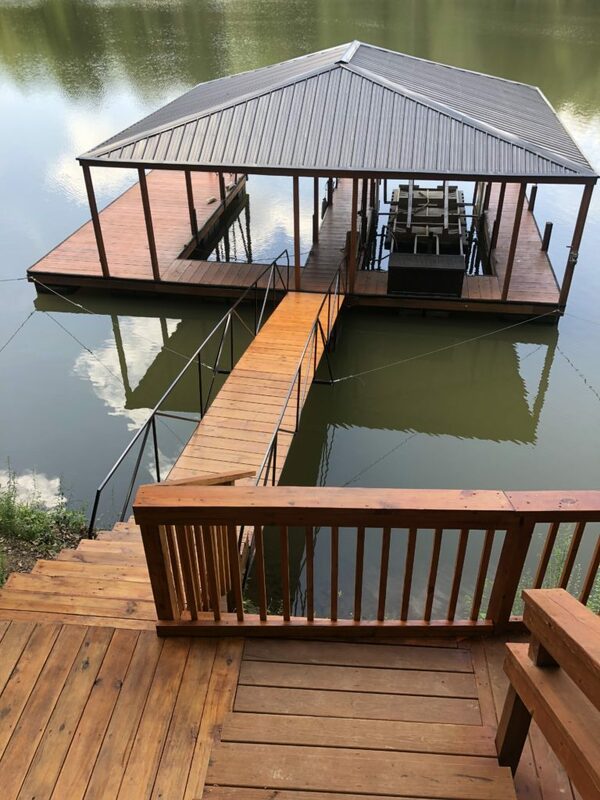 Many of our Double slip floating docks are complimented with IPE decking, a roof (or an upper deck), high quality railing and other add-ons. 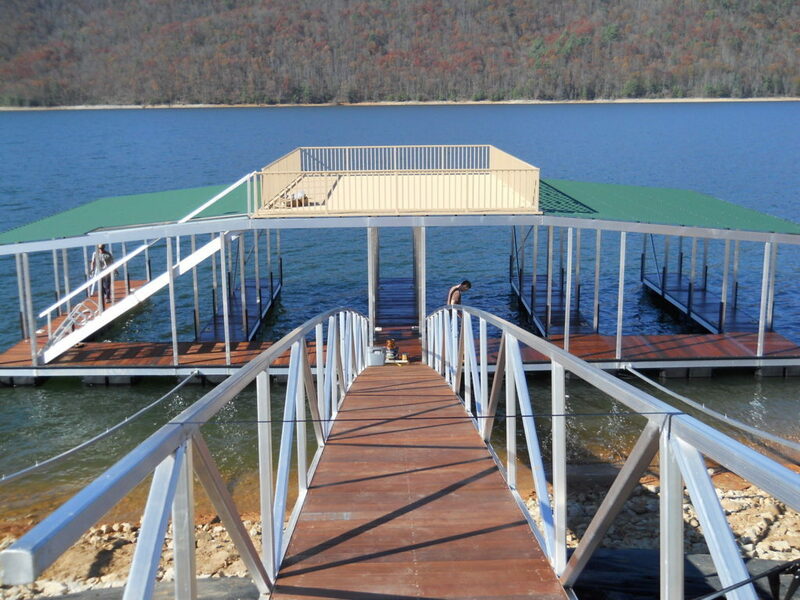 These docks are the perfect size for entertaining at the lake. 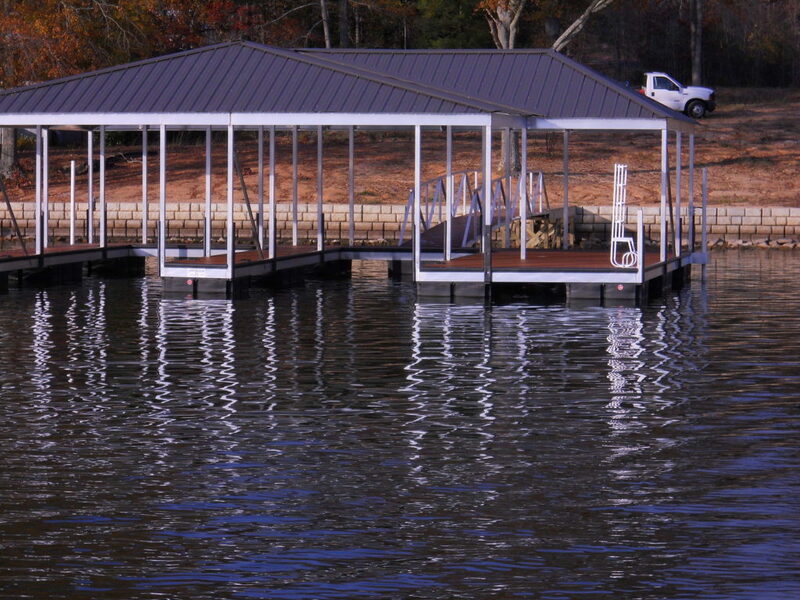 All of our docks are assembled in the highest quality and are either Aluminum or Steel. 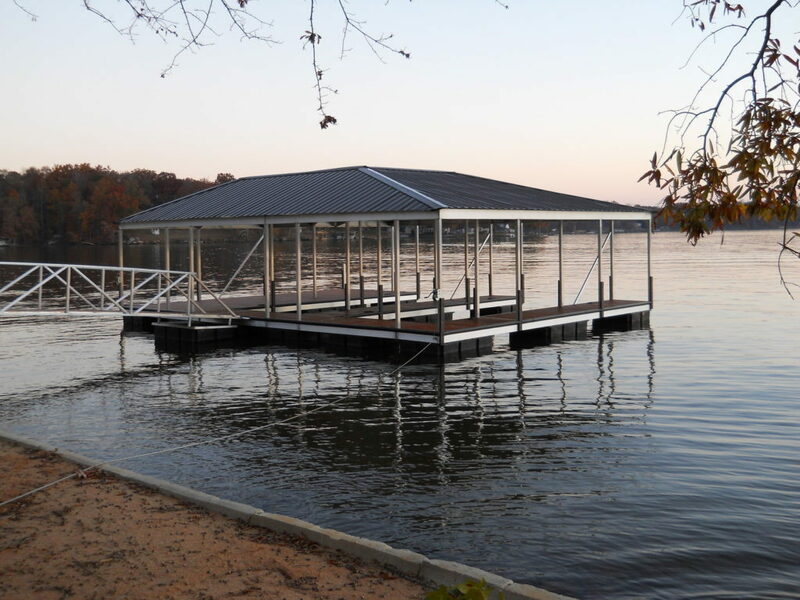 Contact us if you are interested in building your own custom double slip dock. Previously known as Superior Dock. Copyright © 2019. Master Docks, Inc. All rights reserved. 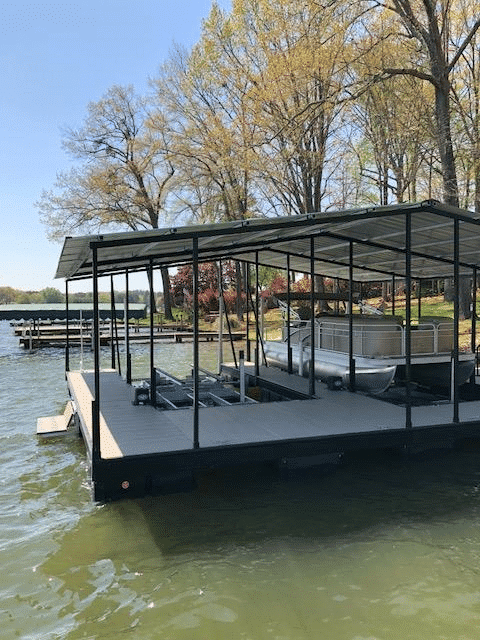 Master Docks is a custom builder of aluminum and steel floating boat docks and dealer of FloatAir front mount boat lifts, Hewitt Standalone lifts, and PWC lifts. 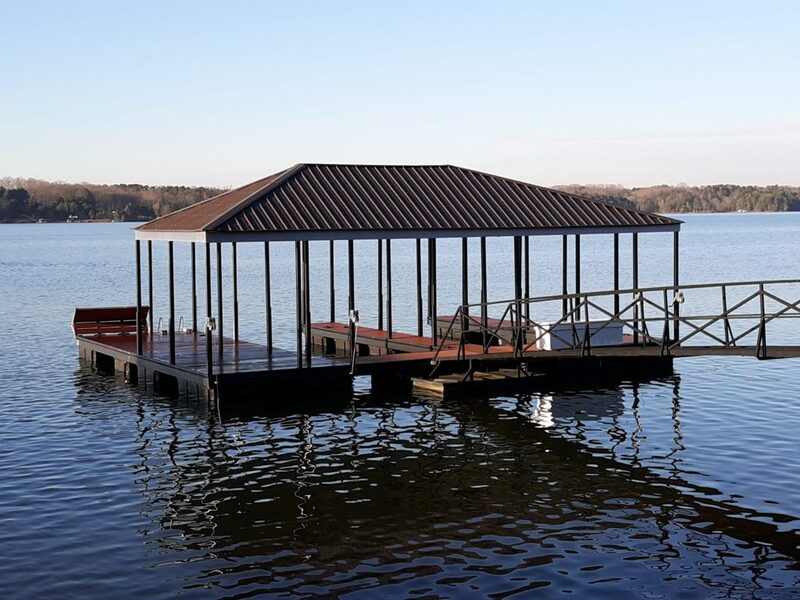 We also offer dock monitoring services (currently for Lake Hartwell), boat lift installations, dock & lift repairs, as well as dock accessories & add ons like walkways (or gangways) & custom roofs. 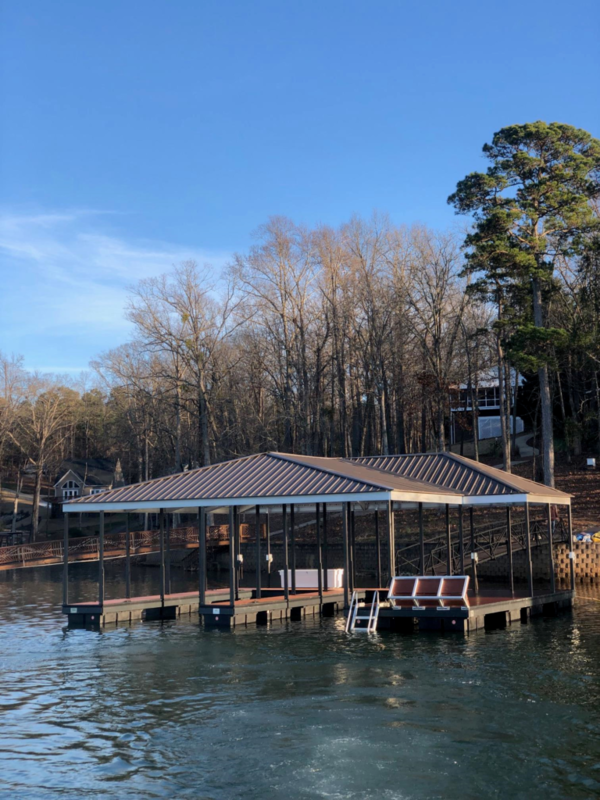 Serving lake communities in South Carolina, North Carolina and North Georgia, specifically, but not limited to, Lake Keowee, Lake Hartwell, Lake Murray, Lake Bowen, Lake Adger, Lake Lanier (NC), Lake Blalock, Lake Greenwood, and Lake Jocassee.